I find it really relaxing to knit on the scrappy blankets. 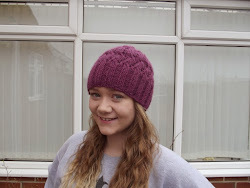 There's lots of ends to sew in now but at least no sewing up. 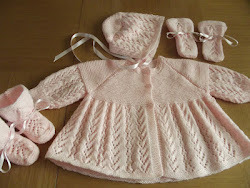 I really liked your baby cardigan and socks, I will look forward to seeing your completed cardigan and blanket. 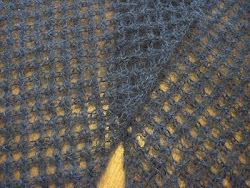 I'm going to try and knit a bit on the cardigan each day so that I get it done, it's been on my needles for too long now, though the blankets are long term projects so they won't be finished any time soon. 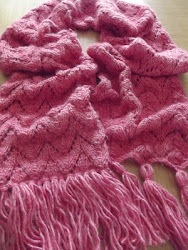 I'm looking forward to getting the cardigan finished now. It's good to have the main body done but the sleeves seem to take me ages so I'm going to try and knit a bit each day to help me along my way. I would love to start a new project but I am still in baby blanket h*ll. I know that wasn't very nice, but three in a row is boring. 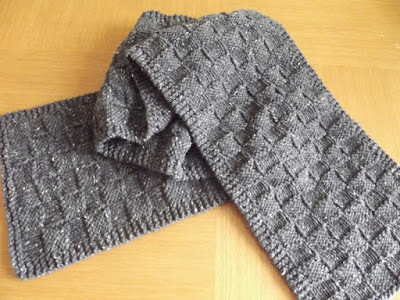 I think a mitered square cowl would be so much fun to make. 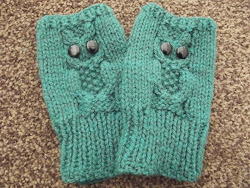 It would have been better if you could have broken the blankets up a bit, knitted or crocheted something in between them as it can get a bit monotonous when working on the same thing three times in a row. I love your scrappy blanket! Can't wait to see more. The blankets are a lot of fun to work on, I love seeing all the mismatched colours alongside each other. The blanket is growing well, very colourful. 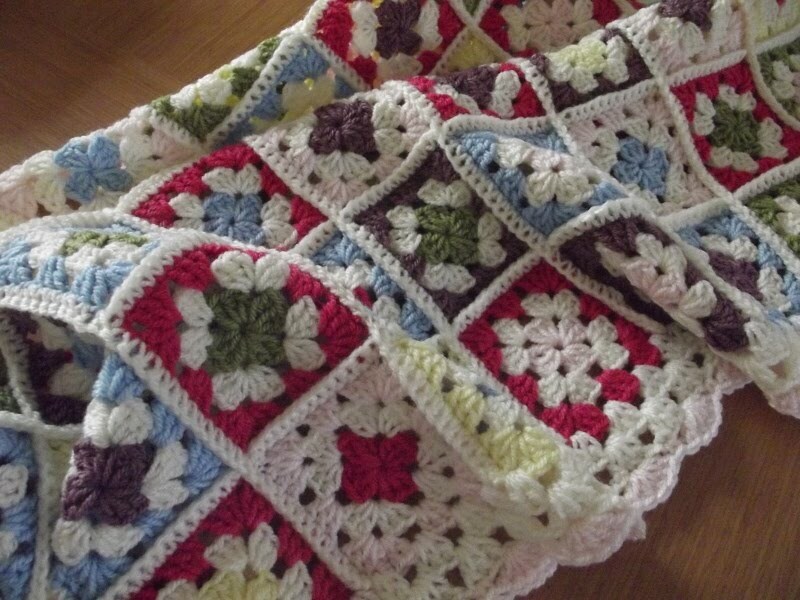 The blankets are good projects to pick up and work on every so often, a new square here and there soon adds up. 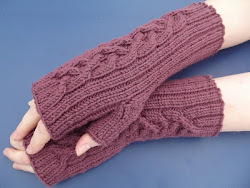 Ravelry has literally thousands of patterns, many free. I'm sure you could find something on there. 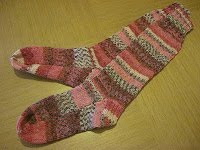 I'm glad to have picked my cardigan back up, I think a few rows each day will soon have it done. They're lovely blankets to work on. Those scrappy blankets are great! 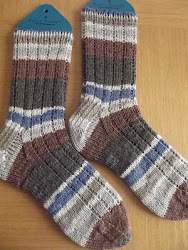 Socks are such a great thing to have on the needles at all times - I try to remember NOT to work on the easy sections at home (and work on a sweater, blanket, etc., instead) so that they are ready to grab and go when I need them. 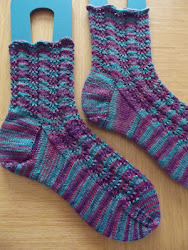 It's hard not to work on socks all the time once they're on the needles but you're right, they're perfect to work on when out and about. So pretty and something from odds and ends, really effective. 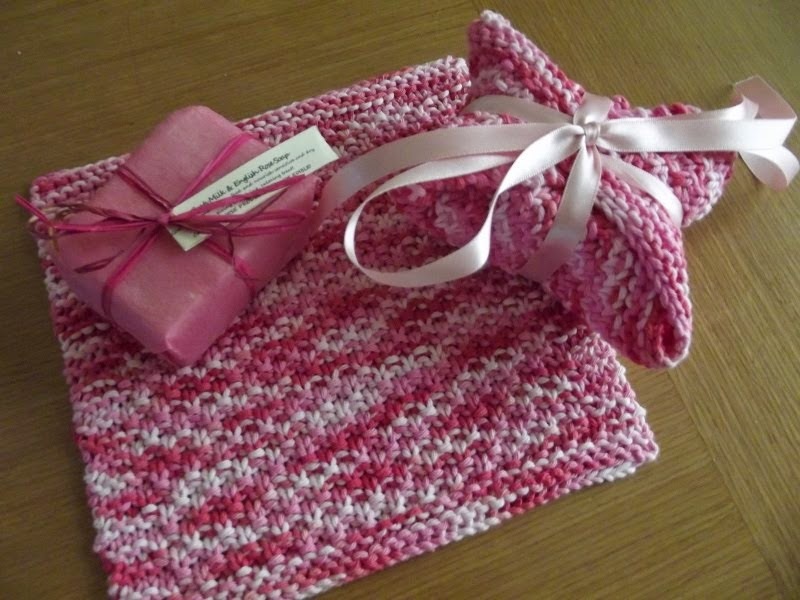 Each blanket square only takes about four grams of yarn so it's a great project to use up small amounts of leftovers. Your scrappy blankets look great. Isn't it amazing how all those crazy colors look nice together? 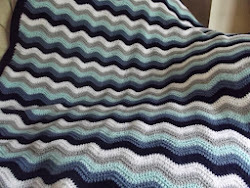 I love how all the different colours in the blanket just somehow work together. I try not to think too much about placement and it does work out. The great thing about a scrappy blanket is that it can be picked up and worked on again at any time. Sleeves seem to take me forever so I'm not sure how quickly the cardigan will take to finish off but I'm trying to work on it a little each day. 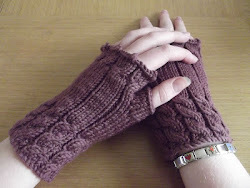 That's the beauty of having a few things on the needles at any given time, there's always something you feel like working on. You should definitely start one. Mine will be very long term projects but they're the perfect thing to pick up and put down again amongst other things you're working on. I love the two scrappy rugs you are working & they sure do look different. 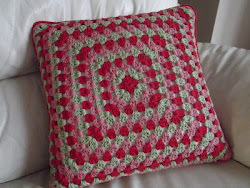 I'v a neat pattern for a very different leftovers rug, so will bring to show you later!!! Taking large craft items on the go can be awkward, so look forward to seeing what comes next. Have a good week & take care. 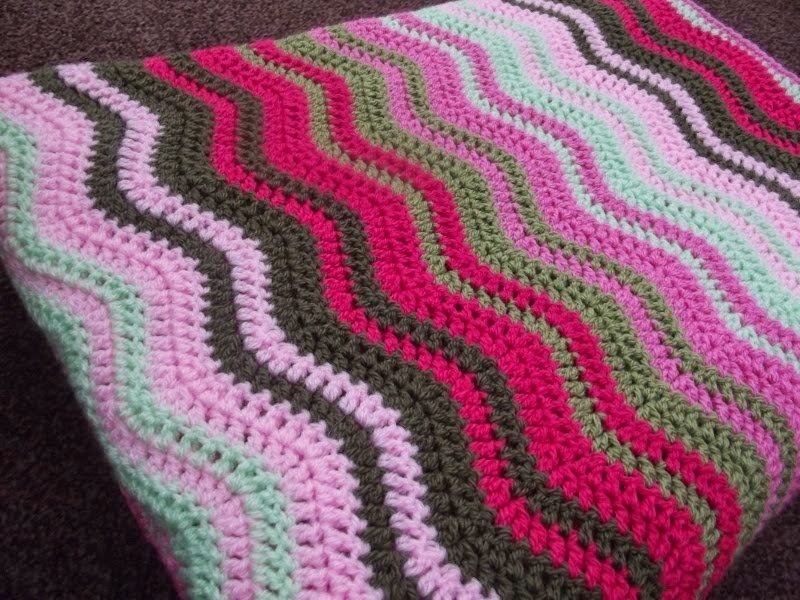 It's amazing how different each blanket looks already, mixing the colours up really does give different effects. It's fun seeing all the colours build up against each other. 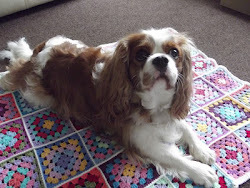 Like many others have also commented, I too love the colours in your blanket, it looks great. 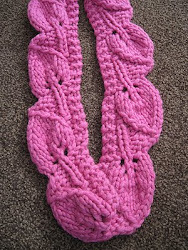 It's such a good way to use up leftover scraps of yarn. 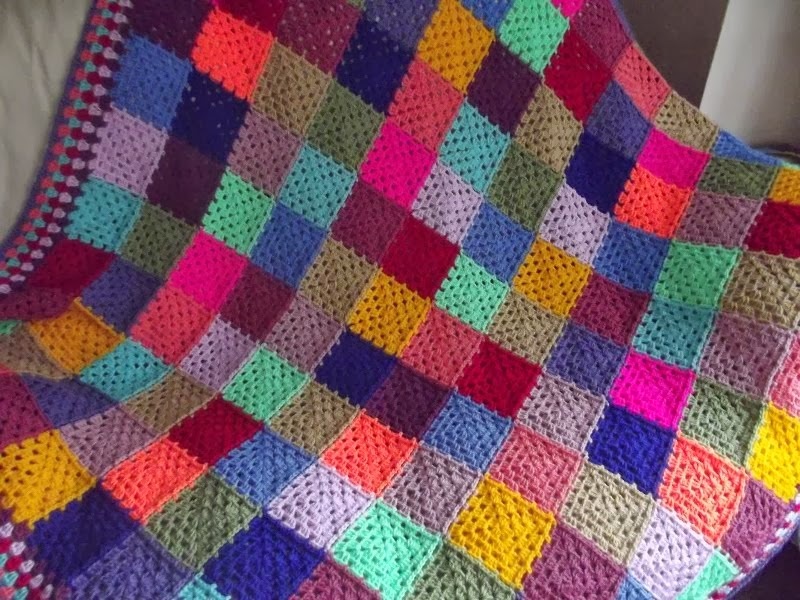 Your squares are beautiful, that's going to make a stunning blankie. 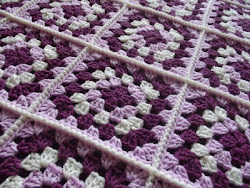 The squares are so relaxing to make, it's such an enjoyable project to work on. These are the first knitted blankets I've made and I'm really enjoying them. I've crocheted blankets before though.